Situated on the Chesapeake Bay, Downs Park offers a variety of natural and recreational activities throughout its 236 acres. Downs Park offers more than five miles of paved and natural trails, including a self-guided nature trail. The park also has a children’s playground, 4 handball courts, 2 ball fields and 3 basketball courts available to visitors on a first-come, first-serve basis. Downs Park has three large pavilions which each accommodate approximately 100 persons and one small pavilion which hold approximately 50 people. A Wedding Garden, a Youth Camping Area and the Chesapeake Room are available for rent. For fees and availability, call the park office at (410) 222-6230. This is one of the newest regional parks in the Anne Arundel County Park System. It includes a 380-foot fishing pier, which was recently built and dedicated after a previous pier was destroyed in a hurricane, and a playground, along with plenty of open space. The park is also an "important bird area," according to Audubon Maryland-D.C., and is frequented by birdwatchers. There is a picnic pavilion available for rent by groups of up to 100 people. Hours: 7am - dusk. Park office: Mon, Tue, 9am - 4pm; Wed, closed; Thu, Fri, 9am - 4pm; Sat, Sun, closed. 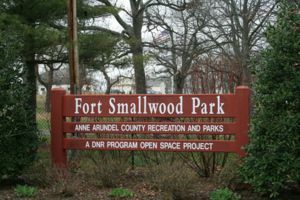 A small Pasadena park run by Anne Arundel County Recreation & Parks. It's located near High Point Elementary School. This park includes several benches and a basketball court. Parking is located on site and is free. Don't see your favotire park here? Email Us and we'll add it, likety-split.